Hui Shi (380-305 BCE) is famous for his ten paradoxes which are very similar to those of the ancient Greek thinker Zeno, paradoxes of size, location and motion. 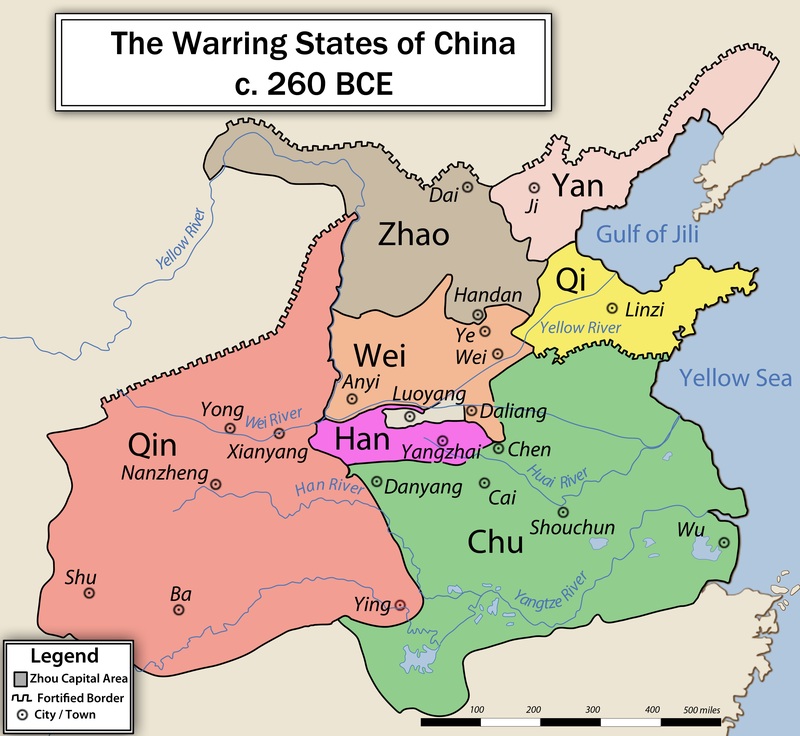 Xunzi accuses of Hui Shi and his fellow School of Names logician Gongsun Long of abusing names to create chaos throughout the land. 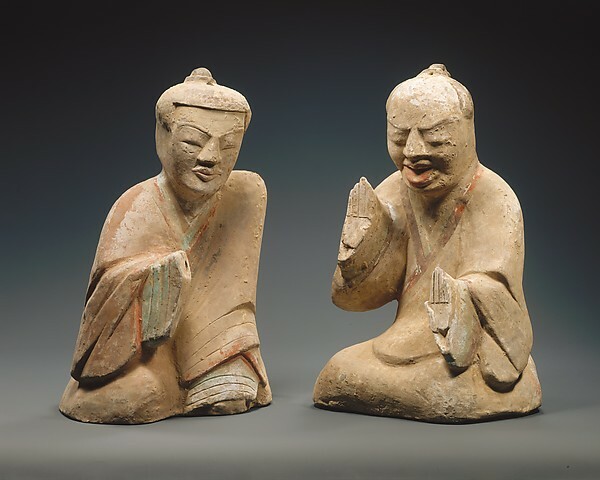 Hui Shi was the chief minister of King Hui of the state of Wei, and he appears as a friend of Zhuangzi and fellow philosopher in the Daoist Zhuangzi text many times, where he is also called Huizi, ‘Master Hui’. In one passage, while passing the grave of Hui Shi’s grave Zhuangzi laments that he has no one he can talk to anymore. In another, the two are walking together by the Hao river dam when Zhuangzi remarks that the fish love to dart back and forth. Hui Shi replies that he can not know that, because he is not a fish. Zhuangzi replies that Hui Shi is not himself, so how does he know he does not know that? Hui Shi maintains that he can’t know about what fish like, so Zhuangzi points out that Hui Shi asked him, “How do you know that?”, so Hui Shi assumed that he knew it already, and as far as ‘how’, he knows it by standing by the Hao river dam. The two disagree, but they are clearly friends who enjoy arguing together. Hui Shi’s second paradox says that that which has no thickness cannot be piled up but can be a thousand li (measure of distance, not the same li as ritual here) in dimension. He seems to have a line or surface in mind, which is one or two dimensional over any length yet lacking second or third dimensional width. Hui Shi’s third paradox says that the heavens are as low as the earth and mountains and marshes are on the same level. Indeed, at the horizon the heavens are as low as the earth and mountains must meet the marshland to rise above it as they do. His fourth paradox says that the sun at noon is the sun setting, and the thing born is the thing dying. The sun does begin setting right at noon, and as soon as something is born it is transforming and moving towards its death, thus constantly dying. His fifth paradox says that the lesser similarity is that great similarity is different from small similarity, but the greater similarity is that all things are similar and different from one another. Consider a bowl of apples and oranges. 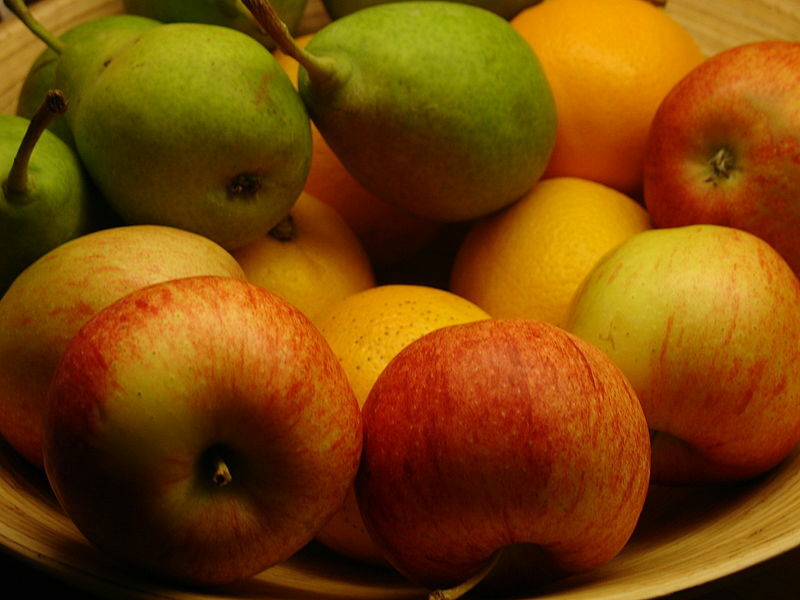 All are round, all are fruit, and all are edible, yet it is easy to see that the apples are more similar to each other than the oranges. It is easy, and thus it is lesser, to see that apples are not oranges and oranges are not apples. It is difficult, obscured by this easy judgement and thus greater, to see that no two apples or oranges are alike and, at the same time, all contents of the bowl are alike. It is easier to see the categories of apples and oranges than it is to see that similarity and difference do not stop at the categories they create for us, but go clear beyond them to unite everything in similarity and difference. Hui Shi’s seventh paradox says one goes to the state of Yueh today and arrives there yesterday. If one crosses the border of Yueh at the stroke of midnight, then one was in Yueh and not in Yueh both today and yesterday, so one could say that one was going there today and arrived yesterday. We can also say that we were going to Yueh today and yesterday, and arrived there today and yesterday, but you can select the parts to say that are most paradoxical. This is very similar to Gongsun Long’s ‘A white horse is not a horse’ argument. His tenth and final paradox reads, “Love all things generously: Heaven and earth are one body”. It serves as a good end to the list, as the paradoxes are all examples of how things that are different are also, at the same time, the same.